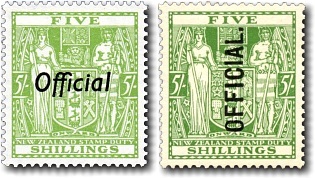 The five shilling fiscal stamp was vertically overprinted 'Official' for government department use. All official stamps were postally used. From December 1938, the stamp was overprinted horizontally.